On Tuesday, researchers from the United States, Canada and France were awarded the physics prize for advances in laser technologies. The winner of the Nobel Peace Prize is to be announced Friday. No literature prize will be awarded this year. Three researchers who “harnessed the power of evolution” to produce enzymes and antibodies that have led to new drugs and biofuels have been named winners of the Nobel Prize in chemistry. Half of the 9-million-kronor ($1.01 million) prize goes to Frances Arnold of the California Institute of Technology. The other half is shared by George Smith of the University of Missouri and Gregory Winter of the MRC molecular biology lab in Cambridge, England. Smith developed a method to evolve new proteins and Winter used the method to evolve antibodies, which are disease-fighting proteins in the blood. The first pharmaceutical based on Winter’s work was approved for use in 2002 and is employed to treat rheumatoid arthritis, psoriasis and inflammatory bowel diseases, the academy said. Smith said he learned of the prize in a pre-dawn phone call from Stockholm. “It’s a standard joke that someone with a Swedish accent calls and says you won! But there was so much static on the line, I knew it wasn’t any of my friends,” he said. The medicine prize was awarded Monday to American and Japanese researchers. 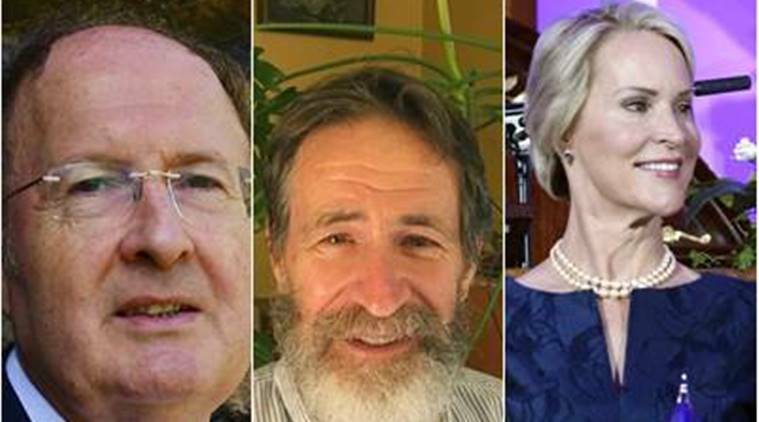 Scientists from the United States, Canada and France shared the physics prize Tuesday. On Tuesday, researchers from the United States, Canada and France were awarded the physics prize for advances in laser technologies. The winner of the Nobel Peace Prize is to be announced Friday. No literature prize will be awarded this year. The Nobel Memorial Prize in Economic Sciences, honoring the man who endowed the five Nobel Prizes, will be revealed on Oct. 8.